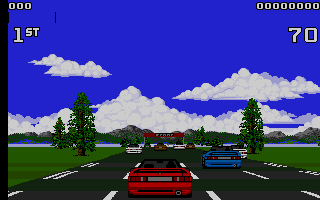 Lotus Esprit Turbo Challenge was widely acclaimed as the best driving game of 1990. 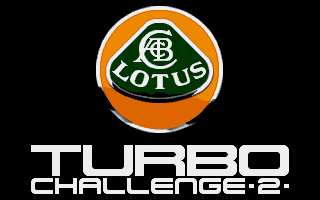 The best just got better with the release of Lotus Turbo Challenge 2. I tried this on my 2048K A4000 and I get "Application needs at least 540K to start up"
When I try holding Ctrl to quit the desktop prior to booting, I arrive at a command prompt (the game does not load). Last edited by jamesfmackenzie on Sat Sep 12, 2015 5:57 pm, edited 1 time in total. I also tried with ADFFS 2.50 beta - same issue. The game won't run directly from HDD due to copy protection. 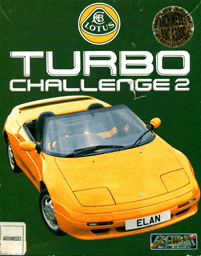 jamesfmackenzie wrote: I tried this on my 2048K A4000 and I get "Application needs at least 540K to start up"
ADFFS requires 4mb of RAM, otherwise there simply isn't enough memory to hold the floppy image in memory. You'll have to kill as many Modules as you can that are using RAM, before loading ADFFS and reduce all the memory slots, such as Fonts, System, Sprites etc. Quit the ADFFS Filer for a bit more RAM back, then reduce the Modules slider as low as it will go, mount the floppy image, quit out of the desktop and type "ADFBootFloppy" to boot it. If you're lucky, you might just get it running. When I try to run Lotus, after it goes through the splash screen, the screen goes black and nothing else happens. I have an A3010 with 4M or RAM so that shouldn't be a problem. I also have a laptop disk drive in the beast. Has it worked previously? From memory it counts VSyncs and tries to figure out how many T1 ticks to wait for the palette swap raster. I believe it's bugged though as it locks the machine if it receives an unexpected amount of VSync. What refresh rate is your monitor running at? No, I've not had this working yet, first time I've tried to get it running. in order to get my screen working correctly. ah, in the monitor settings I see 31.5KHz/60Hz for the refresh rate. I think this one is solved. Downloaded the most recent ADFFS (2.61) and it seemed to solve the issue. One more thing that's happening..... Everything is normal until the game starts. The keyboard controls don't appear to work. I tried defining them for a configuration I like and they work in the config menu but once in the game they don't work at all. There is no response. I reloaded and tried the default key configuration just in case that was the issue but it's exactly the same. 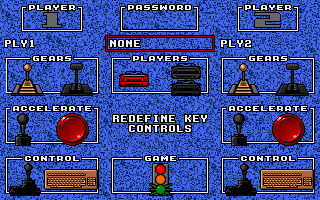 The keys work in the configuration menu, not in game.